YSL Rouge Volupte Shine Oil-in-Stick Lipstick for Spring 2016 | Top Beauty Blog in the Philippines covering Makeup Reviews, Swatches, Skincare and More! Give in to the temptation of dazzling color. Succumb to a unique sensorial experience with extreme comfort and luminous shine. Hyaluronic-acid microspheres help seal in moisture for eight hours of hydration. Antioxidants and emollients help condition and soften lips. Available in a variety of irresistibly fresh shades. Made with 65% oils, the deeply hydrating texture instantly melts into lips providing a pop of color, instant hydration, and all day comfort. After 4 weeks, lips look healthy and more nourished. 6 oils for 6 benefits: hydration, high shine, comfort, ultra-melting, luminosity, and smoothness. 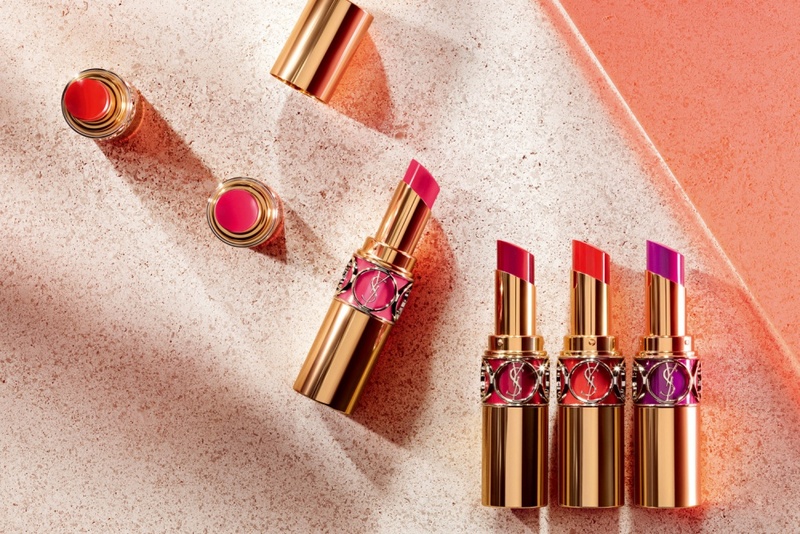 With the addicting signature YSL mango scent, these lipsticks are good enough to eat. Now in 12 brand new shades, from modern neutrals, playful pinks and intense berries, there is a Rouge Volupte Shine for every moment. The lipstick colours are so beautiful! I love this lipstick! And colors are amazing! omg!! i wanna see those shades in store!!! they look so pretty! I do love the colors! Che belle tinte, li prenderei tutti ma tutti! I will definitely be getting one of these because I already love the YSL Tint-in-Oil, and these new lipsticks sound even better!